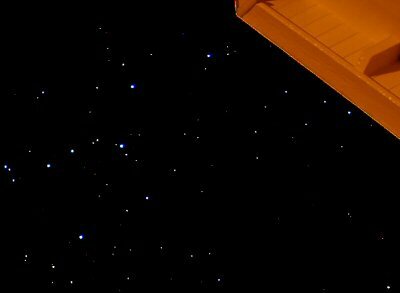 Here are the results from a clear night back home quite a while back in the summer. The images are of course cropped as I was shooting at 6 megapixels and the image size is rather large (3000*2000). The last image here was a test at enhancing the images in paintshop pro and the results are amazing. I purely applied a contrast + brightness increase and suddenly hundreds of stars appeared! Images taken with my Nikon D70 at various settings but exposures about 2-5 minutes. Having received a D70 remote control for my birthday and then purchased a book solely about the D70 I've learnt that I can now take exposures up to 30 minutes. This sounds like fun and I'll have to try it one night soon. For once there was actually the possibility of clear skies for this years shower during the predicted peak on the 19th. I organised a photographic group to go out and observe from about 8:30. At 8 the Moon disappeared being cloud - yay - though thankfully the group of 6 had made it nonetheless. We linked up with the Astrosoc and headed out with the glimmer of hope that the clouds would pass, popping for a drink on the way. 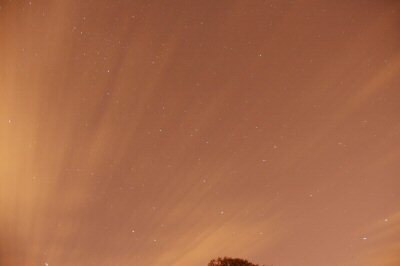 The clouds briefly parted allowing a reasonable view of the sky before they returned. 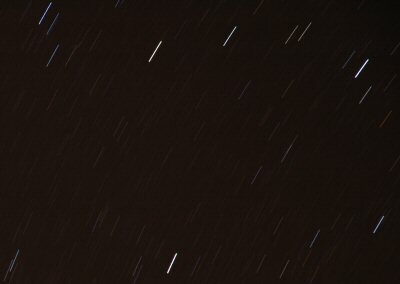 About 3 meteors were observed while we were out and some photos were taken. Shots taken at home near the end of the summer 04 when I'd only had the camera a few weeks. 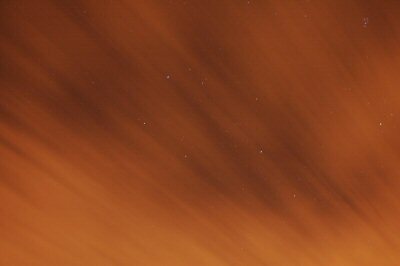 The shots were taken in my back garden in Cheltenham where I'm always surprised at the lack of light pollution. 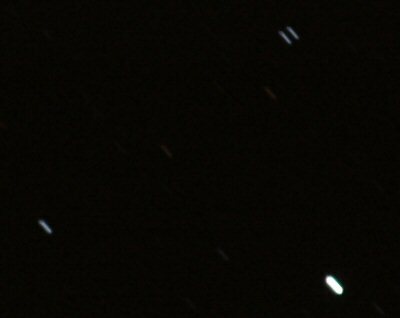 The same image but at high brightness and contrast - look at the stars! !